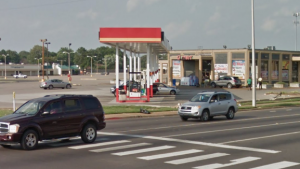 Did negligent security contribute to this Memphis gas station shooting? Read Our Legal Take to find out if the victim may have a legal avenue for justice and a claim for compensation. A woman was reportedly shot and injured at a Q-Mart gas station Sunday morning, August 14, 2016. Authorities apparently learned later that a female victim had been struck in the shooting. She was “airlifted to Regional One from St. Francis and she is currently in critical condition,” per media reports. Patrons have a right to feel safe and secure while on premises of the establishment they are visiting. The Murray Law Firm questions the level of security provided at the gas station and whether this shooting may have been prevented. What security measures, such as bright lighting, security patrols, and surveillance cameras, were in place to protect patrons at the time of the shooting? 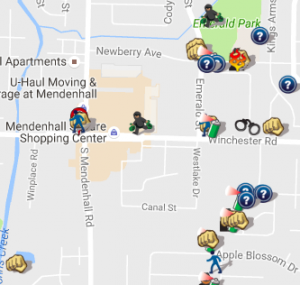 August 2016 crime reports from Spotcrime.com reveal a number of recent robberies and assaults in the surrounding area. Was the gas station owner aware of any prior incidents of violence on or near the property? If so, were additional security precautions implemented by the property owners or management to deter crime? Generally, property owners are required to protect all patrons legally on the premises from any foreseeable harm. Should the facts of this matter reveal that the gas station owner or management failed to provide adequate security to protect those on its premises, the victim may seek justice and elect to pursue a legal claim for her injuries. Based upon its prior successful experience in handling security negligence claims on behalf of victims and their families, The Murray Law Firm suggests that photographs and a thorough, unbiased inspection of the property will need to be performed immediately, before any evidence may be repaired, damaged or destroyed. Given the complexities of pursuing a negligent security case, it is imperative that the victim retain an experienced attorney who can ensure the preservation of any and all evidence that may support such a claim. We’ve Recovered Millions for Victims of Property Security Negligence…Contact us Now for a Free Consultation. The Murray Law Firm has an extensive and successful record representing victims of violence and security negligence. We have recovered millions of dollars for our Clients, and recently obtained a $29.25 million dollar verdict for a victim of an unsafe property. We offer our legal assistance, if desired. We represent our Clients on a contingency agreement, which generally means that no fees or payments are owed until and unless we recover. Anyone seeking further information or legal representation is encouraged to contact us via e-mail (click here) or by telephone at 888.842.1616. Consultations are free and confidential. Selecting the right attorney for you or your family is highly important. You must feel confident that the attorney you hire has a complete understanding of the law applicable to your particular case, and has successful experience in handling such cases. Important: Do not hire a lawyer who has violated the Rules of Professional Conduct!!! A LAWYER “SHALL NOT” CONTACT A PROSPECTIVE CLIENT THROUGH A “LIVE TELEPHONE” OR AN “IN-PERSON” VISIT. – RULE 7.3, ABA MODEL RULES OF PROFESSIONAL CONDUCT. If an attorney, or someone acting on behalf of an attorney, contacts you in this manner, that attorney is in violation of this Rule. This unethical and unprofessional activity on the part of the lawyer is good sign that you should stay away. It is imperative that you are represented by an attorney who is capable of advocating for you within the confines of the law, and an attorney who fails to abide by the Rules of Professional Conduct is probably not the best fit. In fact, any such attorney should be immediately reported to the local State Bar Association. If you have been contacted in such an unsolicited manner, contact us and we’ll assist you in filing a report. Man Shot and Killed in Mandalay Palms Apartments Shooting; Security Lapse? Brandon Baines Killed in Memphis Apartment Complex Shooting; Lapse in Security?